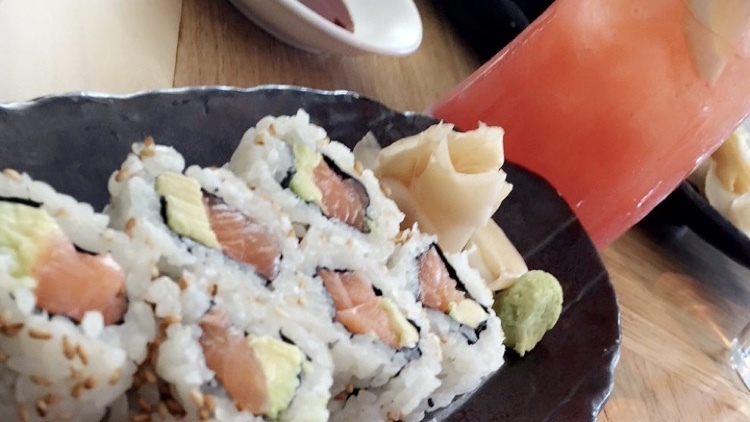 This was my first experience at proper Japanese food and sushi! I’ve not really tried sushi before and was always cautious and hesitant as I was always put off by the rawness of the fish. As appealing as it looked the thought of the raw texture in my mouth was putting me off.The girls in my family wanted to go for lunch to Nobu to celebrate graduating and I tagged along for the experience and the catch-up of course! Nonetheless, I can safely say my visit to Nobu has me converted and my new found love for sushi has begun! To start of with I had some of the Salmon and Avocado inside out roll, which was really good when dipped in the sauce. I like avocado and salmon, so this was a good first step and choice. 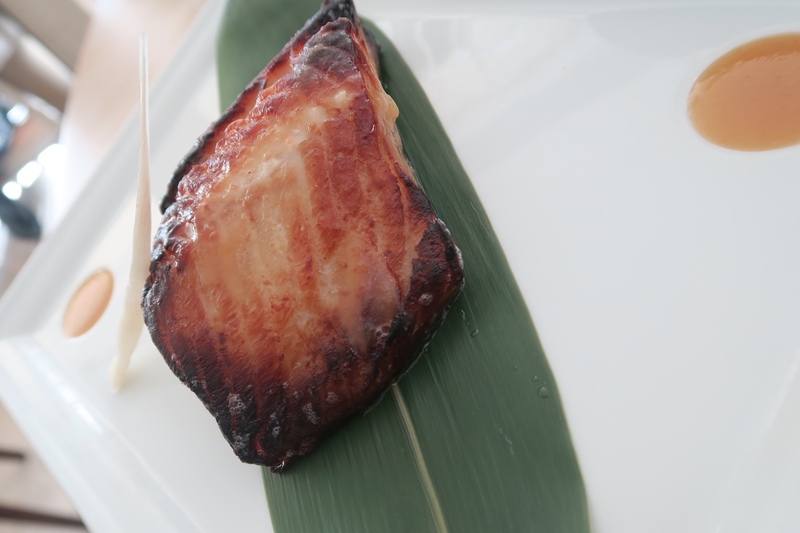 I also tried the the black cod with miso which was lovely, it melted in your mouth and was super tasty and definitely did not leave a fishy aftertaste.What I opted for was the regular bento box, which is two trays/ Japanese tiffin worth of food. 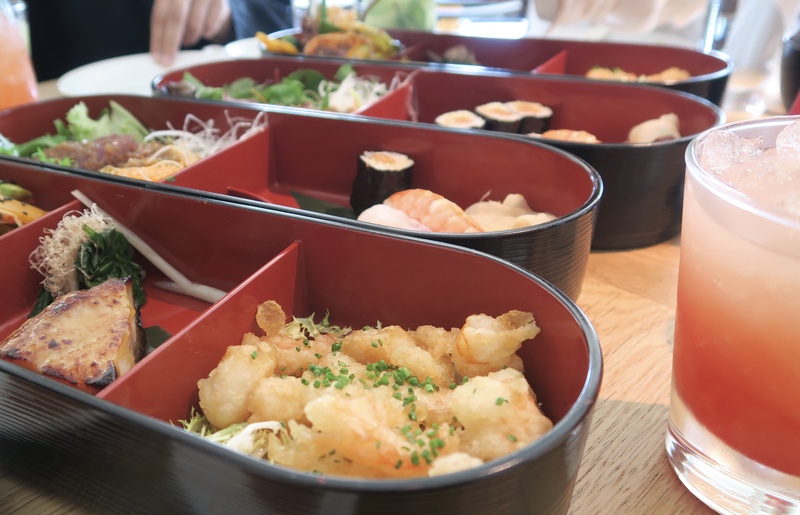 Which includes the following: Sashimi Salad with Matsuhisa Dressing, Baby Tiger Shrimp Tempura with Ponzu, Black Cod with Miso, Oshitashi, Vegetable Spicy Garlic with Rice, Miso Soup and Assorted Sushi. 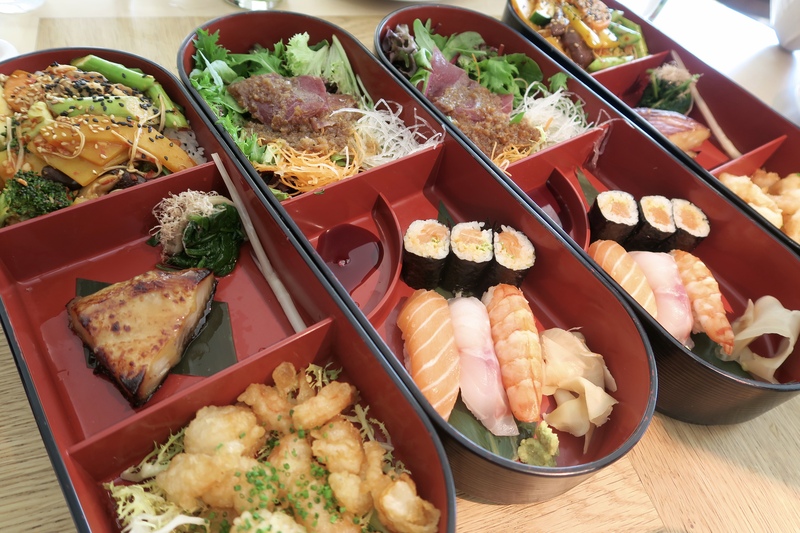 I think if you’re going to check Nobu out for the first time, then opt for the bento boxes as you get to try a little bit of everything. I really enjoyed the shrimp tempura and the assorted sushi. For a first time user of chopsticks I think I did reasonably well and was able to grip the sushi rolls really well. Definitely need a little more practice but pleasantly surprised with my success rate! To drink I had a peach mocktail which was super strong on the syrup! I really wanted to dilute it more by adding water but refrained from doing so. 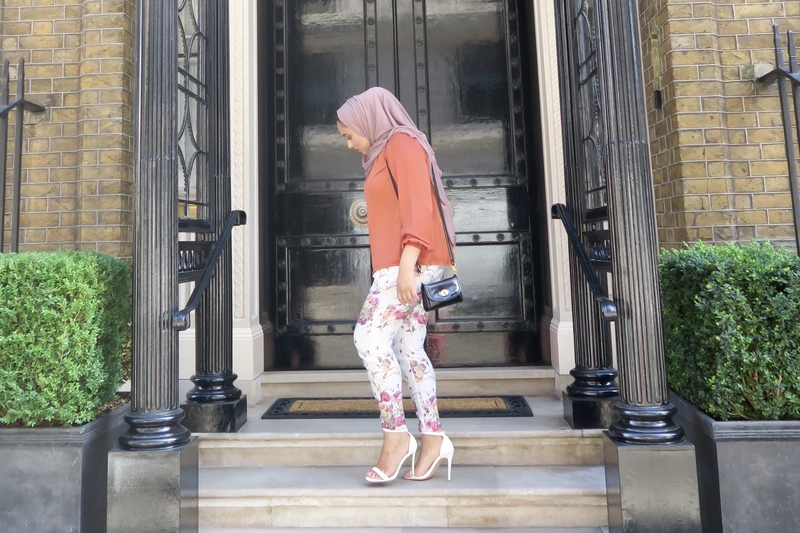 Overall I would not go again to Nobu, it’s definitely sparked an interest in Sushi and I’m totally up for trying it again but perhaps at a new destination. 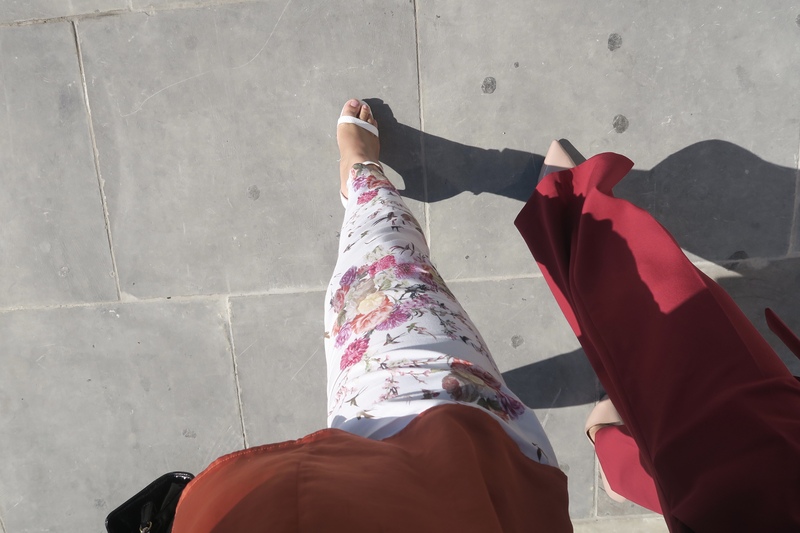 My next stop I want to try out is Sushi Samba – who wants to join?! 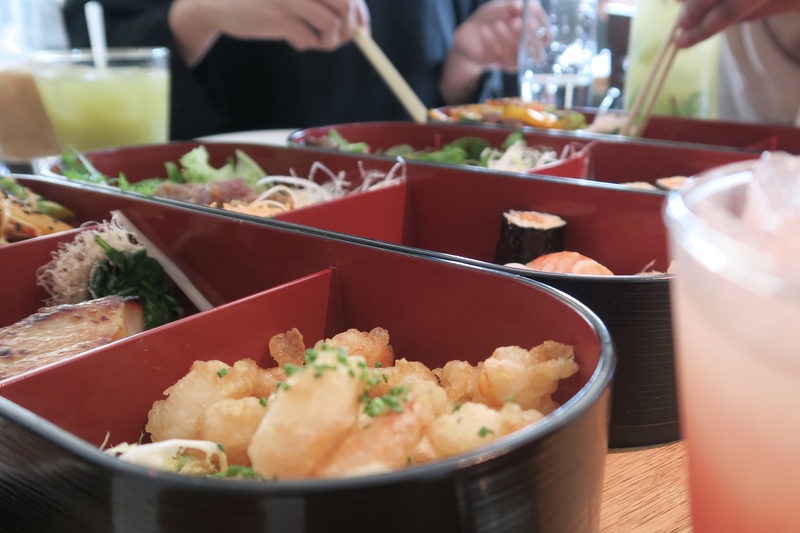 Reason for not wanting to go again to Nobu is because to me the feel and interior of the decor was outdated and plain, the service was a bit poor and I wish the menu explained what each of the items were. For newbies like me I was just seeing a lot of jargon and had to ask the waiter for a lot of the explanations. #awkward – From the moment your seated you really of feel that uppity glare from other guests who are seated and it really makes for an uncomfortable sitting. 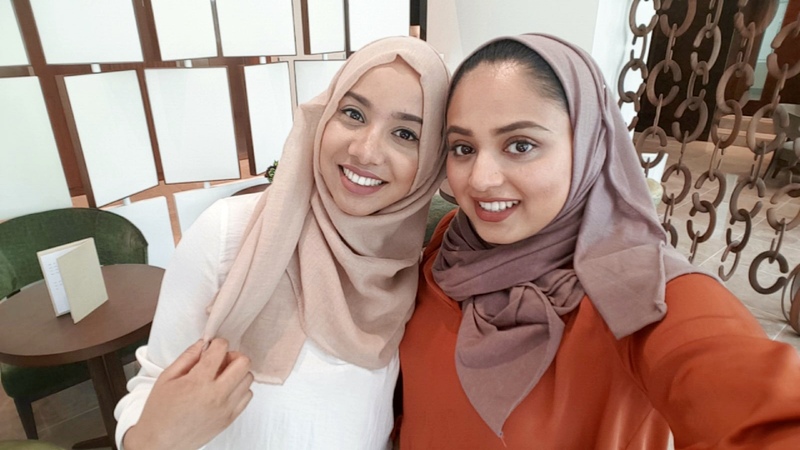 After the initial unwelcoming feeling I started to enjoy myself with the company I was in and overall enjoyed the quality time with my cousins! SCARF || Unknown jersey scarf..